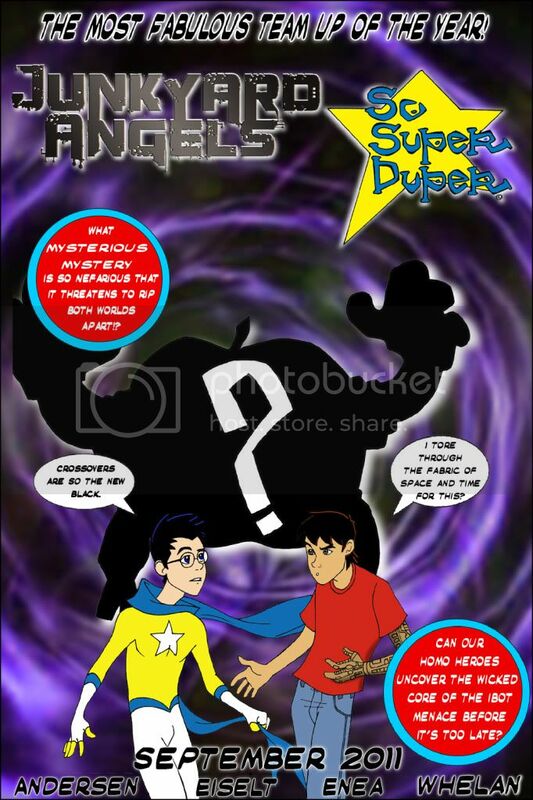 Psyche from Super Duper and Jason meet in Junkyard Angels #16 & 17!! You can also check out his work at Indy Planet! Junkyard Angels #1 is also available for sale at Indy Planet!! Stay tuned homo-suqueeriors for the crossover event of the year!